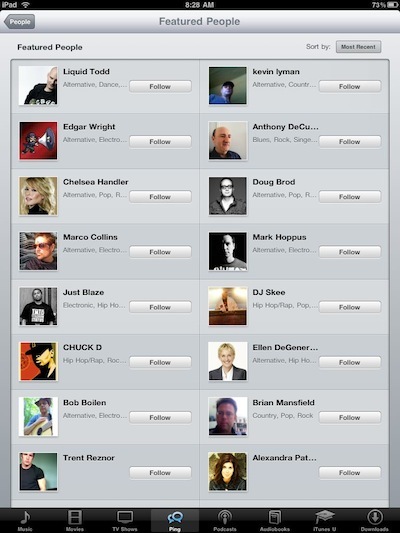 If you don’t visit the iTunes app on your iPad much, you may have missed that Apple has added the Ping Social features. 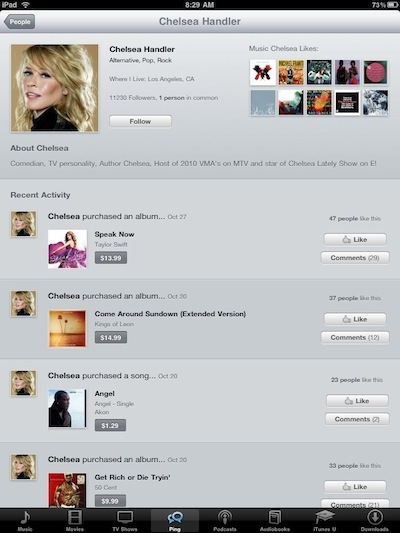 All of your friends on Ping, their suggestions and their purchases can now be seen on the iPad. Just go to the iTunes app and choose ‘Ping’ from the options along the bottom. Across the top of the opening window is the options to choose between the Activity of suggestions, likes, comments and purchases of those you have connected with. 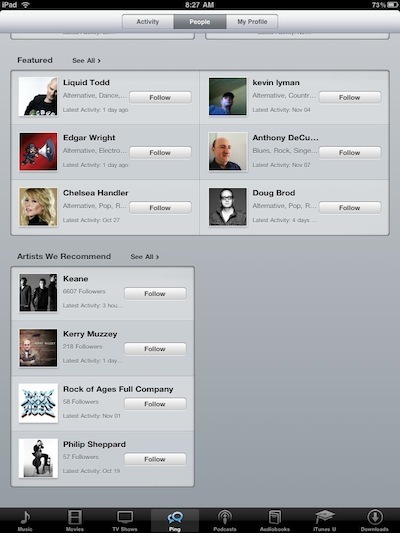 The ‘People’ option takes you to a list of the people you are connected with as well as the Apple’s ‘Featured’ and ‘Recommended Artists’. Tapping ‘Follow’ will add them to your first screen ‘Activity’. 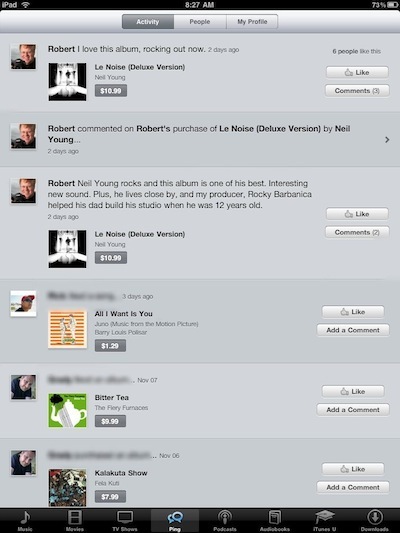 Selecting ‘See All’ from either of the ‘Featured’ or ‘Recommended’ will take you to an overview of people in that area. To see more on an individual’s Activity without Following them yet, touch their picture. Drilling down to a particular person via their picture presents you with additional information from their Profile, artists and albums they like, their following/followers numbers, and their recent purchases/recommendations. You are able to comment on any of their album/artist activity as well you are able to also ‘like’ to have them show as a ‘liked’ item in your Activity that your followers will see. It’s all about being social with your music likes and thoughts.